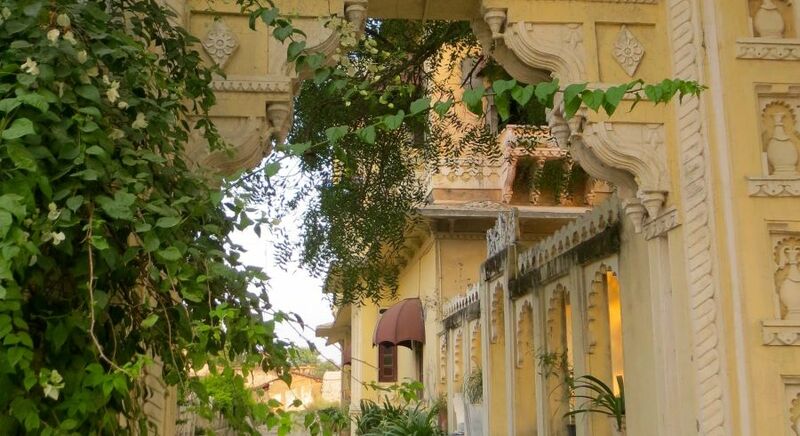 Discover real old world charm at a heritage hotel of India. 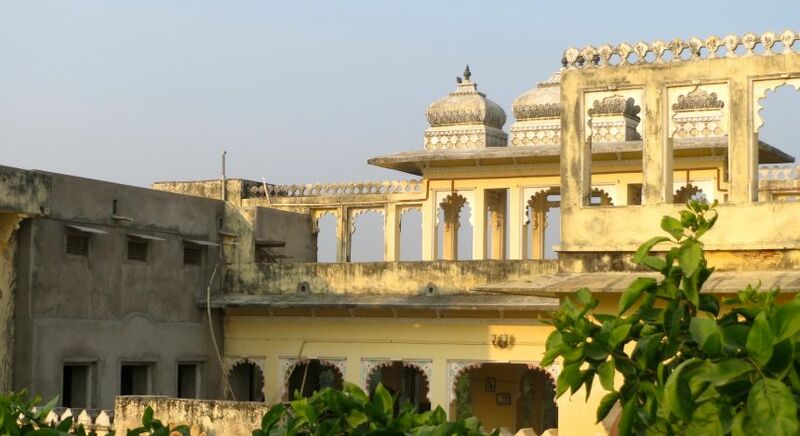 North India is all about architecture and culture, with ancient palaces and regal traditions that take you back to the glory days of bejewelled maharajahs and maharanis and their courtly way of life. The popular 2011 film, The Best Exotic Marigold Hotel, and its sequel, brought this unique aspect of Indian architecture and heritage into the limelight like never before. Operational ever since, the Best Exotic Marigold Hotel is certainly worth including in your India travel plan, as our guests discovered. 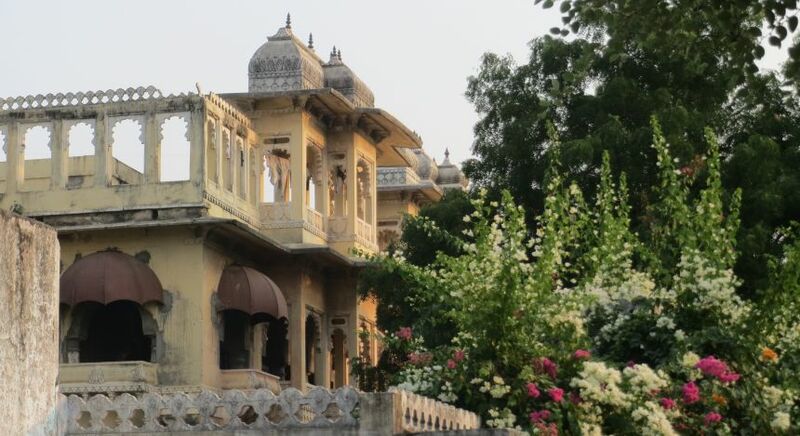 Inspired by the movie, Kim Monahan and her friends embarked on a journey to discover the magnificent mansions, ancient regal customs and opulence of India. 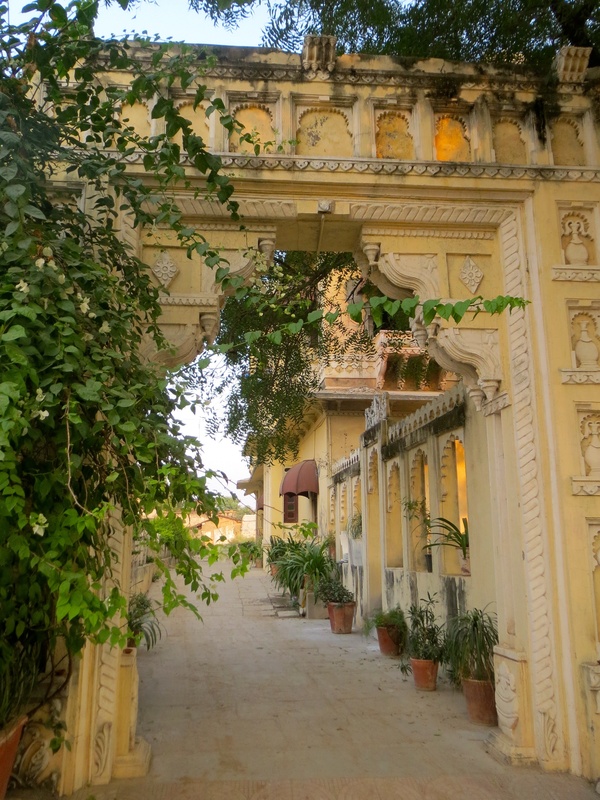 During our adventure, we arranged a short stay at the real Best Exotic Marigold Hotel, where the feature was filmed. When I watched the film for the first time, it brought to my eyes the unique Indian architecture and heritage – and I just had to witness it for myself. Our experience visiting the real Best Exotic Marigold Hotel, turned out to be the highlight of our entire trip to India! We were one of the first to stay there, and our Travel Consultant was anxious for it to meet our expectations as it had still not been added to their collection at that time. However, we were open to the adventure. 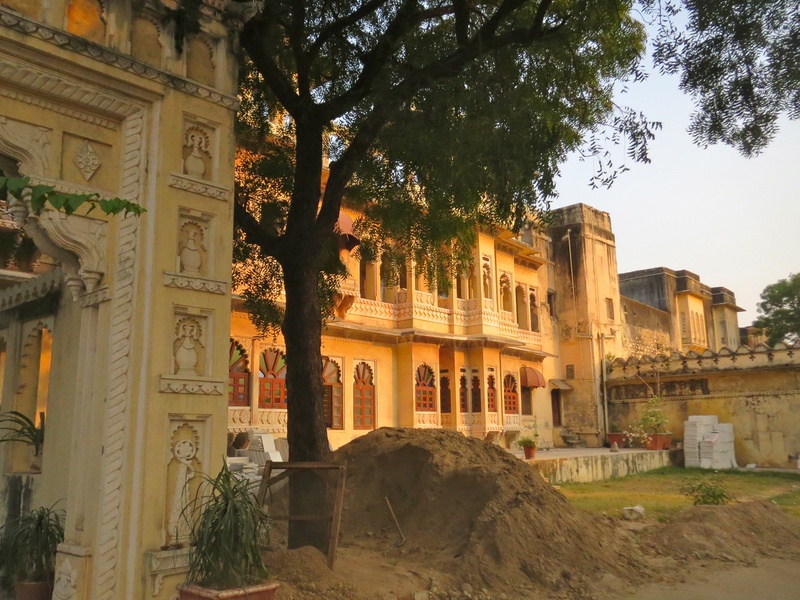 When we visited, the hotel was still little known and tucked away on the outskirts of Udaipur, so our chauffeur had to spend some time trying to find the remote little village of Khempur. We didn’t see a single tourist. 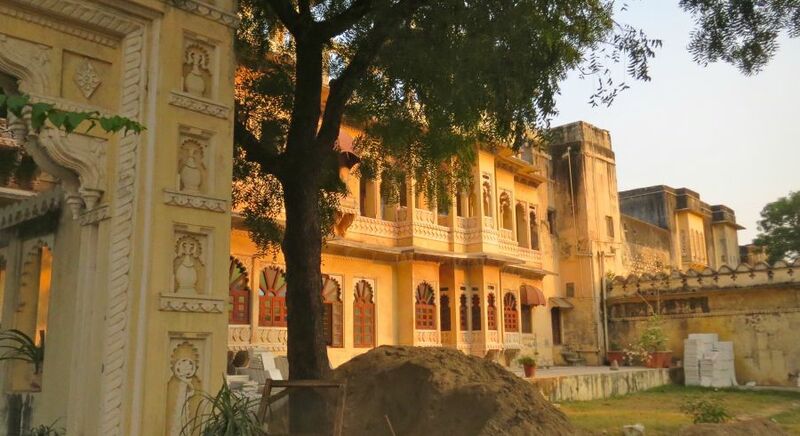 The hotel’s name is The Ravla Khempur in real life, but it was quite similar to what we imagined, with lovingly restored beautiful arches, refurbished grand rooms, and lawns with wrought iron furniture. This heritage hotel of India blends old world charm with modern comfort. Nathan, the hotel manager, welcomed us like old friends – and made us laugh right from the moment we arrived. Nathan is passionate about the history of the place and was happy to share his experience of having the movies filmed there. He has since become a patron of the village, ensuring that the local villagers are beneficiaries from all the recent film-making activity. Nathan took us for a wander around the village, into people’s homes and inside the schools. The villagers were excited to meet us and were delighted to be photographed. Back at the “Marigold”, we had drinks and a film screening of the first movie. We then had a magnificent dinner by candlelight on the terrace, which was apparently where Maggie Smith and Judi Dench’s bedrooms were! It was a surreal experience to relive the movie, with all manner of surprises. Enchanting Travels had listened to our wishes…and delivered way beyond our expectations! Relive the magic of the Real Best Exotic Marigold Hotel or another heritage hotel of India on your private, safe and completely customized tour.